The popularity of craft beer, or beer made by smaller breweries, is growing across the country. In Nebraska, there are more than 24 breweries in operation, with others breaking ground soon. The growing demand for locally produced beer is causing some Nebraska farmers to rethink what they plant. Nebraskans drink a lot of beer. Out of the 10 states that drink the most beer, Nebraska and Texas are tied at 8th in per capita consumption–more than 560 12-ounce bottles for every man, woman and child in the state. And considering that a lot of Nebraskans don’t drink, the rest of us must be doing our share. Last month, Omaha’s Werner Park played host to the 7th Annual Great Nebraska Beerfest, a convention of sorts for beer makers and beer drinkers. 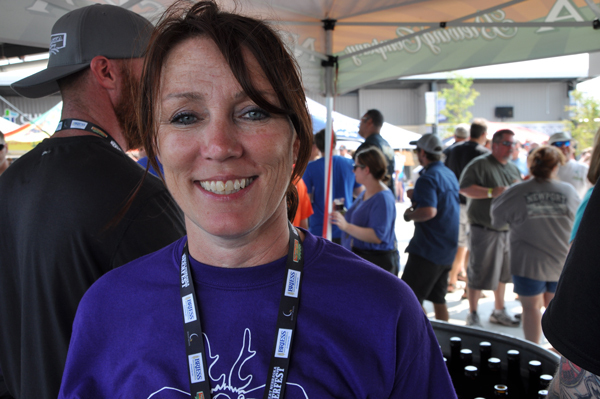 Kim Kavulak is the owner of Nebraska Brewing Company, which hosts and sponsors Beerfest. 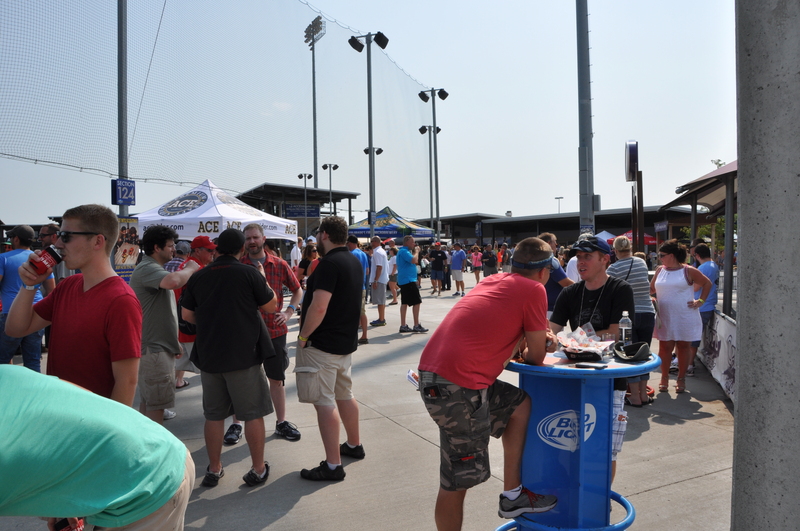 More than 90 breweries from around the country attended Beerfest this year, 30 more than last year. “You gotta [sic] get your name out there. People have to try your beer to know what it is,” Gary Briggs, a brewer with Schlafly Bottleworks in St. Louis, said. Briggs said there’s no better way to welcome customers, than by catering to their specific tastes. Light lagers, IPA’s, oatmeal stouts, chocolate-infused tripels, even sour ales, there’s most likely a beer flavor for every palette. But where do all those unique flavors come from? 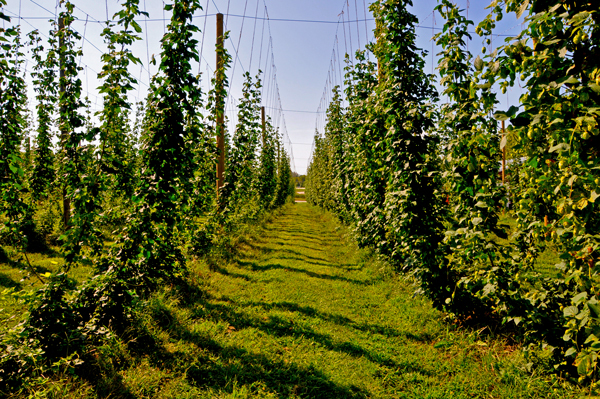 Just off U.S. Highway 34, north of Plattsmouth, are the Nebraska Hop Yards. 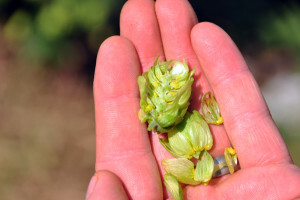 Hops are cone-shaped flowers used by brewers to flavor beer. The hop plant is a bine. A bine is like a vine, except the long, stringy plants extend themselves by wrapping around a support, instead of sending out tendrils or suckers. Each hop bine grows up a rope measuring 18-feet long, and suspended in the air by steel cables attached to large wooden supports resembling telephone poles. 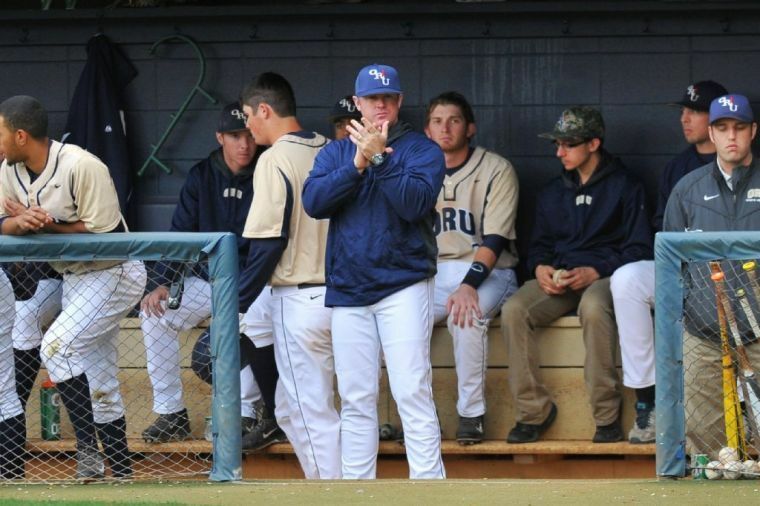 Silas Clarke is the yard’s general manager. The biney-jungle Clarke created was planted in May. 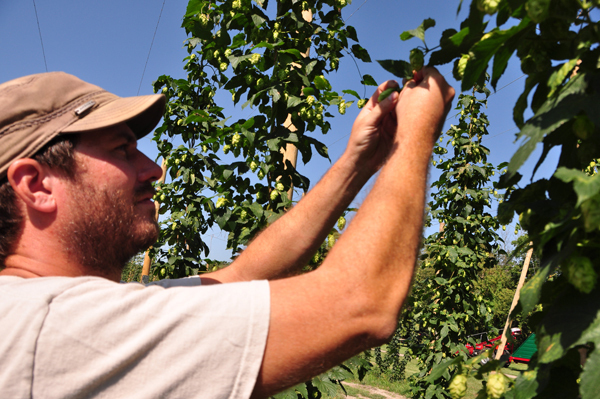 He explained some of the 22 different varieties of hops can grow up to a foot a day when conditions are right. The majority of hops grown in the U.S. come from California. Clarke said that means many of Nebraska’s brewers had never seen where their ingredients were coming from, until this year. 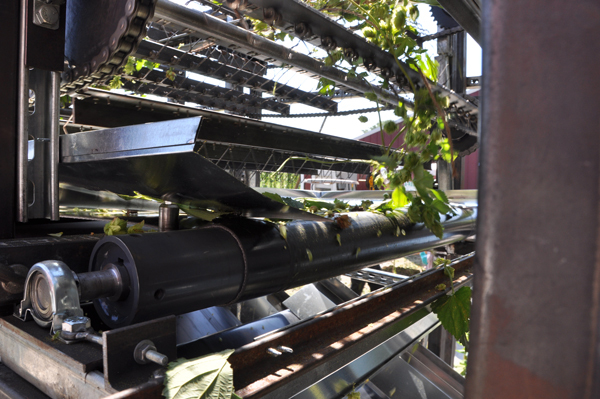 Nebraska Hop Yards is one of three companies founded by Bruce and Annette Wiles. The Wiles said they started the companies with so they could create a local hops industry Nebraska brewers could turn to for ingredients. At one time, Bruce Wiles managed more than 11,000 acres of traditional row crops. He said with the price of commodities falling, more farmers might want to consider planting hops. Since the Wiles are literally growing the hops industry in Nebraska from the ground up, they’ve had to get creative in how their products get to market. A $50,000 grant from the State of Nebraska was used to build a prototype mobile harvester which uses a conveyer-belt type system to remove the hop cones from the bines. Once the cones are removed, they’re dried, pelletized, packaged and delivered to brewers. Clarke said most of this year’s harvest will be given away—free of charge—with the idea the brewers will sign contracts at some point in the future. By giving away so many different varieties to local brewers, Clarke said they’ll be free to experiment and create new beers for new customers, like former NFL all-pro running back Ahman Green. 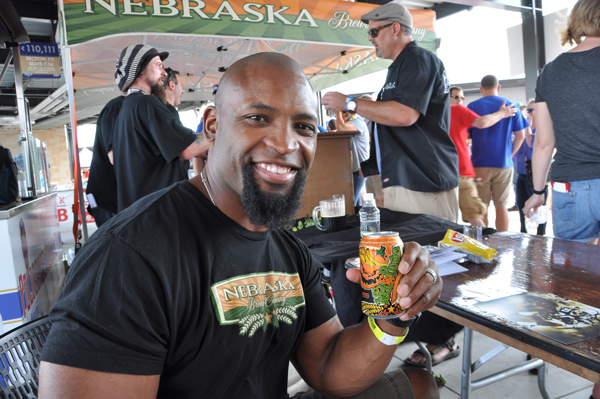 Green was at the Great Nebraska Beerfest to promote his foundation, and to develop a partnership with the Nebraska Brewing Company to create a new beer flavor. And just in case pumpkin spice beer might not be your cup of tea, you may just want to try something else.